Written by Joyce Cooper-Kahn, Ph.D. & Laurie Dietzel, Ph.D. 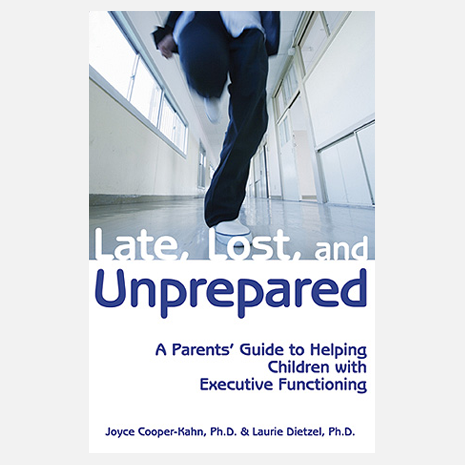 Written by clinical psychologists, Late, Lost, and Unprepared emphasizes the need for a two-pronged approach to intervention: 1) helping the child to manage demands in the short run, and 2) building independent skills for long-term self-management. 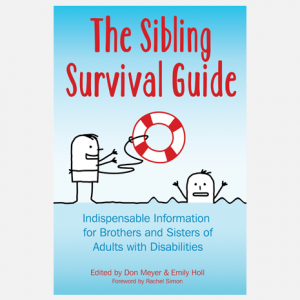 Full of encouragement and practical strategies, the book’s organization—short chapters with overviews, summaries, case studies, tips, and definitions—makes it easy to grasp concepts quickly and get started. 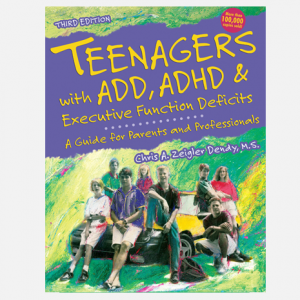 Part I, What You Need to Know, provides information about: what executive functions are and how weaknesses in these skills affect development; the impact of weak executive function on children’s emotional lives and their families; how professionals assess executive function problems; and associated conditions (AD/HD—children with an AD/HD diagnosis always have executive skills issues—learning disabilities, autism spectrum disorders, Tourette syndrome, etc.). 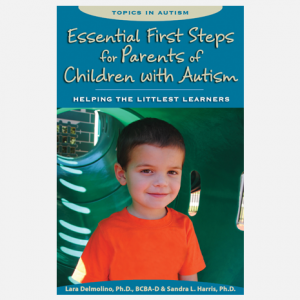 Part II discusses What You Can Do About It including how to change behavior and set reasonable expectations, and offers specific intervention strategies for children of different ages, varying needs, and profiles. Late, Lost, and Unprepared is chockful of ideas for helping your child or student be productive and independent—today and in the future. Joyce Cooper-Kahn, a clinical child psychologist, specializes in helping children to successfully manage developmental challenges. Using her expertise in the assessment and treatment of learning, attention, and social-emotional difficulties, she works with children, families, and educators to build children's competencies. Dr. Cooper-Kahn is the co-founder of Psychological Resource Associates, a private mental health practice in Severna Park, Maryland. She is the parent of an adult son with AD/HD and executive skills weaknesses. Laurie Dietzel is a licensed clinical psychologist with expertise in neuropsychological assessment and the diagnosis of AD/HD, learning disabilities, PDD, and other neurodevelopmental disorders. Dr. Dietzel is currently in private practice with a focus on testing, training, and consultation at Dietzel, Butler & Associates in Silver Spring, Maryland, which she co-founded. She provides local and national continuing education workshops for mental health and educational professionals.